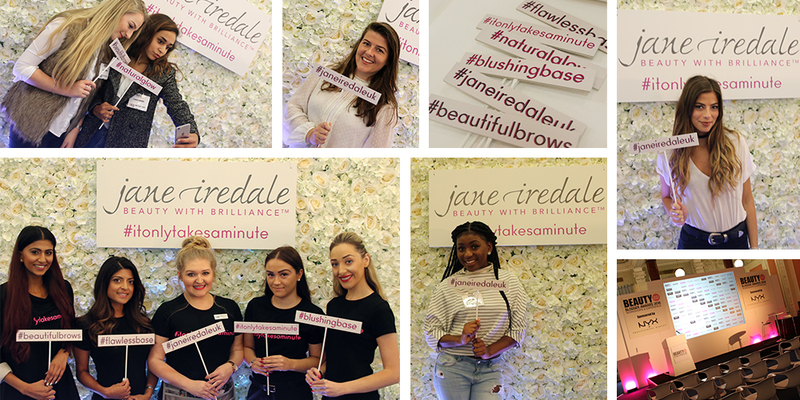 jane iredale attend the Beauty Blogger Awards 2016. | iiaa Ltd | The UK and Ireland distributor of Environ Skincare, jane iredale makeup and Advanced Nutrition Programme. With the rise of consumer advocacy, authentic voices and strong social followings, enters a rapid new breed of communication. Here at the iiaa we are continuing to extend our influencer network. iiaa Influencer PR Executive, Davina Kumal headed down to The Ampersand Hotel for the Beauty Blogger Awards 2016 judging day. We also attended the Beauty Blogger Awards 2016 on Saturday 1st October and Sunday 2nd October 2016, where we gave tailored #itonlytakesaminute make-overs and we got face-to-face with top bloggers within the industry. Key speakers included: YouTube, London Beauty Queen, Grace Victory, Alice Audley – Editor in Chief, Blogosphere Magazine and Irene Moore – Digital Marketing London.